Russia’s Admiral Panteleyev (DDG-548) missile destroyer captured a boat with 29 suspected pirates off the coast of Somalia on April 28. Investigation has revealed that all the suspected pirates are not from Somalia and some are fishermen from Iran and Pakistan. 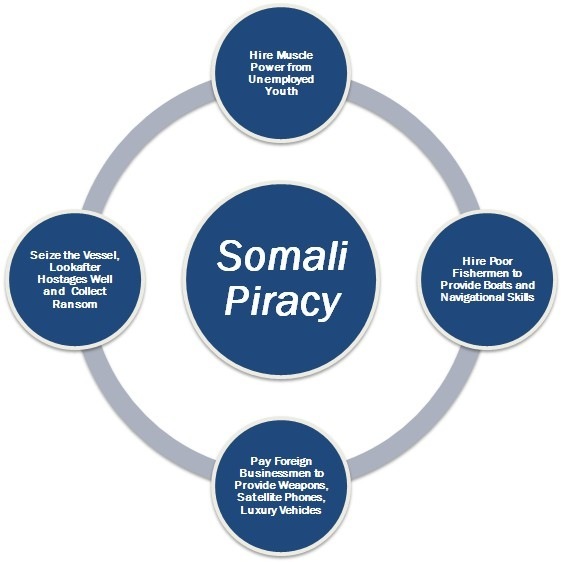 It is not clear whether Iranian and Pakistani fishermen are working as navigators for Somali pirates for monetary gains. Also Russia is not able to decide, where and how to proceed with these suspected pirates. 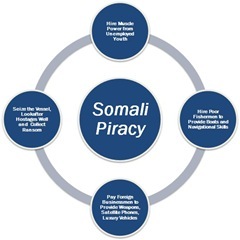 View an interesting video clip: Piracy – legal issues. Read more about Admiral Panteleyev missile destroyer from Warfare. Read more about suspected pirates from RIA Novosti: Report 1, Report 2. Russian missile destroyer Admiral Panteleyev has freed eight Iranians who were part of the 29 suspected pirates. It is reported that Iranians were kept as hostages by the suspected Somali pirates for more than three months. View more from video clip: Russian warship frees Iranians.